This week, we are continuing to perform in Toronto and are also launching the first of our new shows in Pickering at The Bear. The Bear is a historic building (Formerly the Liverpool House) just off the 401. We'll be there on Friday nights doing our typical show augmented by authentic British Cuisine. 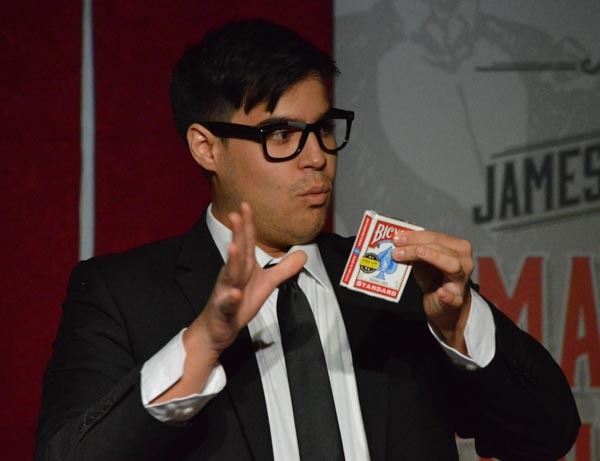 For the first show this Friday, I'll be joined by the hilariously adorable Chris Mayhew, who recently performed at the World Famous Magic Castle in Hollywood and premiered his new one man show, Mayhew Mayhem, in the vicinity of Broadway. On Sunday at the Crimson Lounge inside The Cage 292, I'll be joined in Toronto by Jason Palter, named "Entertainer of the Year by the Canadian Event Industry. Magic Tonight happens every week. Tickets are $35 or $65 with dinner. Readers can use the code secrets for a special discount when purchasing online.